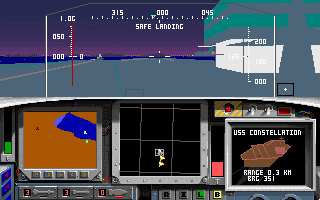 Add-on disk for F-15 Strike Eagle II, capitalizing on the Persian Gulf war. without the need for replacing your F-15 II scenarios). MicroProse Japan K.K.,MicroProse Software, Inc. Copyright © 2014 - 2019 SocksCap64, All Rights Reserved. Logos, Trademarks, Pictures Belongs To Their Respected Owners. Powered By WordPress. 107 Queries in 0.598 seconds.